From gelato on pizzelle cones at Coppa, to a retro raspberry creamsicle at Oleana. By Jacqueline Cain·	 8/7/2018, 1:55 p.m. This first week of August is on pace to be the warmest ever in Boston, per the Globe’s David Epstein. That’s part of the reason we’re rounding up, yet again, cool new ice cream items and events around town. 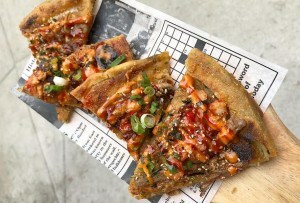 While Boston is home to no shortage of established creameries, hip soft-serve sundaes, and even vegan-friendly trailblazers, there’s always someone experimenting with a farm-fresh flavor or a globally inspired riff on tradition. In honor of this scorching summer, have ice cream for dinner tonight. New name and design, same lactose-free ice cream. 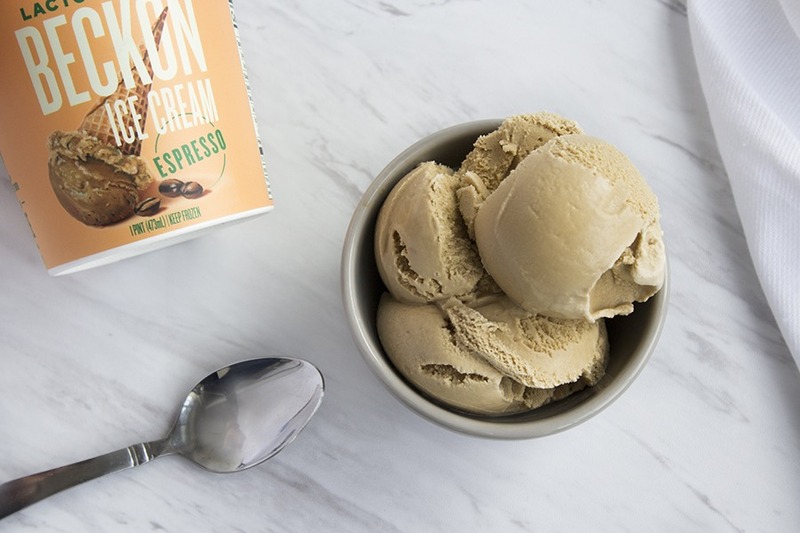 Boston-based ice cream makers Minus the Moo rebranded this summer as to double down on its “goal of ‘beckoning’ those who are lactose intolerant back to ice cream that uses real ingredients, including milk and cream,” says cofounder Gwen Burlingame. The treat, in flavors like espresso, mint chip, and sea salt chocolate chip, is made by adding in a natural enzyme the body needs to digest lactose. 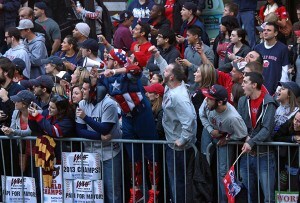 Beckon pints are stocked around Greater Boston and New England, and recently launched in New York City. Want to try before you buy? 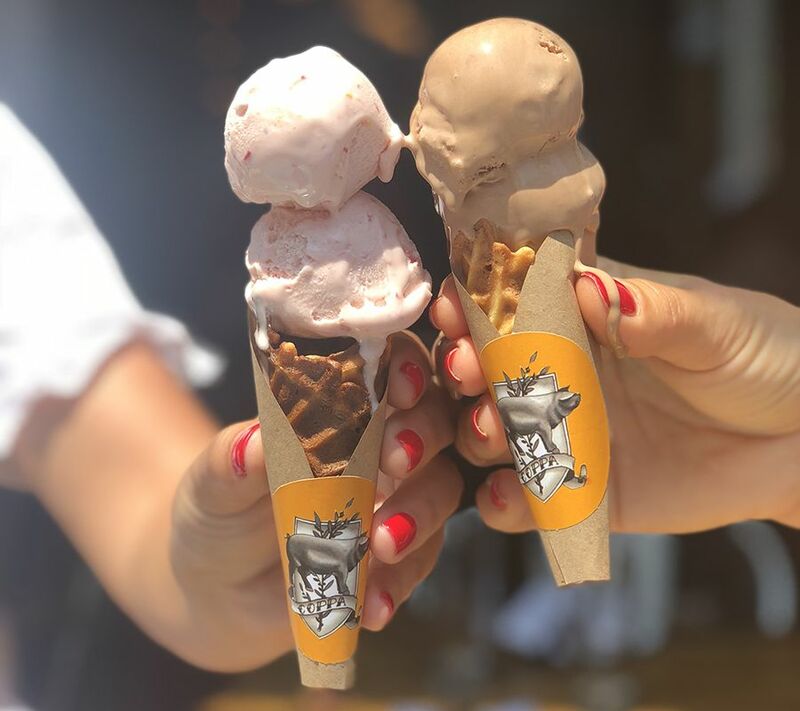 Find Beckon scooping tonight at Lamplighter Brewing Co., and tasting at pop-ups inside certain Whole Foods stores throughout the summer and fall. It’s got towering Italian grinders, al dente house-made pastas, and crackly-crusted pizzas—and now this neighborhood enoteca has the gelato we crave to top it all off. Executive chef Brian Rae recently introduced a handful of flavors such as hazelnut, chocolate, strawberry, and coconut sorbet, along with house-made pizzelle cones. It’s $6 a scoop during lunch or dinner. 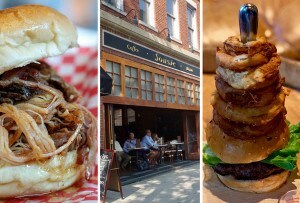 253 Shawmut Ave., 617-391-0902, coppaboston.com. 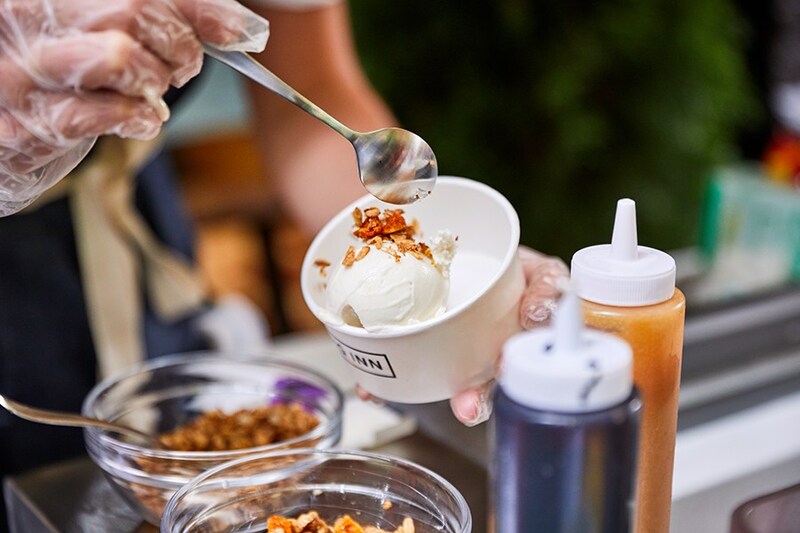 This fast-casual empire is currently on a summer ice cream cart-road trip, stopping at its New York and Boston locations for limited engagements. 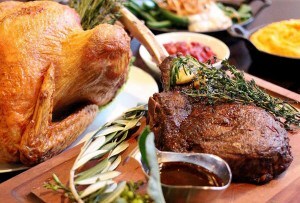 It parks in the Back Bay from August 13-15, with complimentary, farm-inspired flavors with a twist. Try tristar strawberry with balsamic reduction; triple vanilla with seasonal fruit syrups; vegan-friendly oats and honey; or carrot creamsicle with crystalized ginger. August 13-15, 4-8 p.m., 557 Boylston St., Copley Square, Boston, diginn.com. This serene tea house also deals in traditional Japanese pastries, lunch and dinner offerings like handrolls, bento sets, and tempura; and creamy soft serve in flavors like matcha-vanilla and coconut-yuzu. Local ice cream king Toscanini’s recently added this North Cambridge café to its portfolio of accounts. 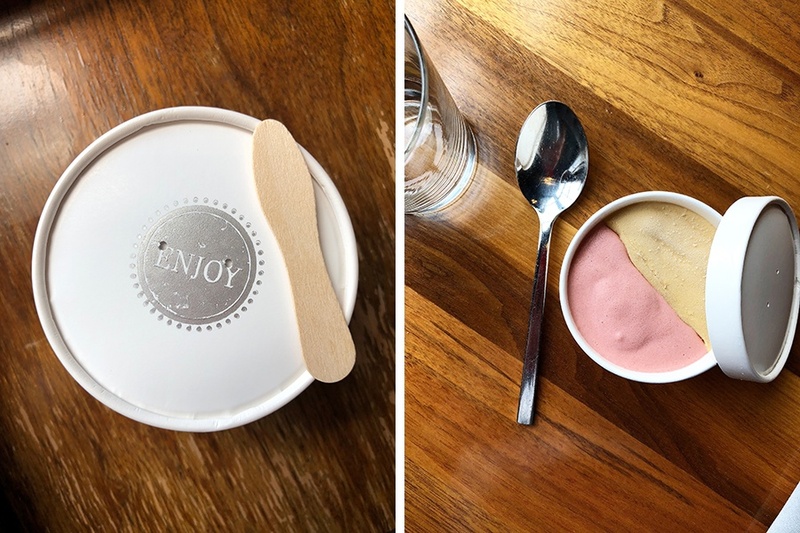 Noca serves rotating Tosci flavors, such as chocolate, Earl Grey, and raspberry sorbet, in cones and cups with baker Amanda Glover’s house-made toppings. There are also sundaes, floats, and more icy treats. 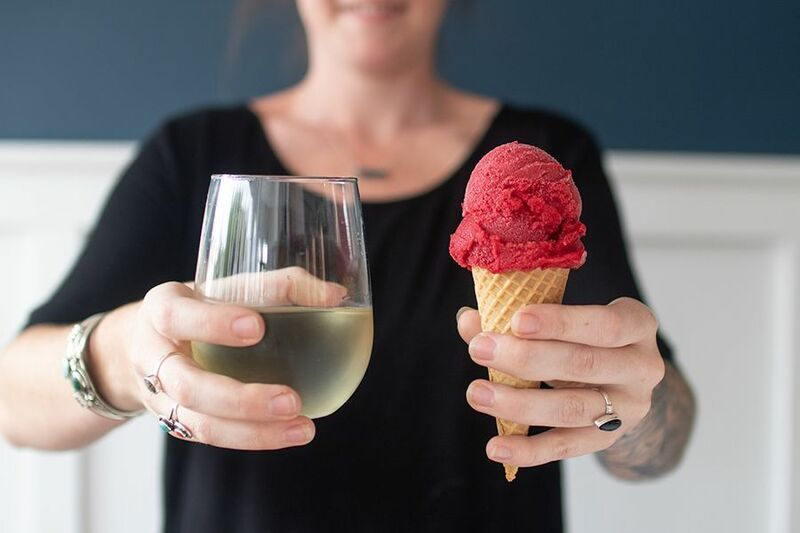 For the month of August, every Wednesday evening from 4-6 p.m., pop in for a glass of wine paired with a free scoop. We have not stopped dreaming about roasted white chocolate/strawberry “Hoodies cups” since Best of Boston pastry chef Brian Mercury teased the Hoodsie-esque treat as a weekend special back in June. A couple versions of this elevated, New England snack are headed for the Oak + Rowan dessert menu later this month, Mercury says. But until then, sate your craving for his fresh flavors with scoops of house-made ice creams like apricot-basil; peanut butter and jelly; or mango-mint-margarita sorbet. 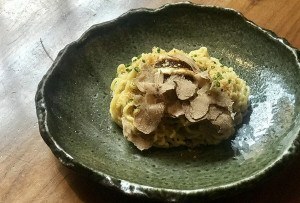 321 A St., Fort Point, Boston, 857-284-7742, oakandrowan.com. 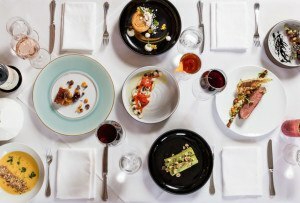 Acclaimed pastry chef Maura Kilpatrick’s dessert menu is always icily impressive, from her famous Baked Alaska with coconut ice cream and torched meringue, to the vegan-friendly cremolata (shaved ice) sundae. Her summertime specials are no less enticing, including a goat milk ice cream sundae with Persian love cake, strawberry “marasmallow” (with added maras pepper), roasted strawberries and an almond magic shell; and a mahleb ice cream “simwich” sandwiched between rounds of simit bread. But our next order will definitely be the adorable dondurma. 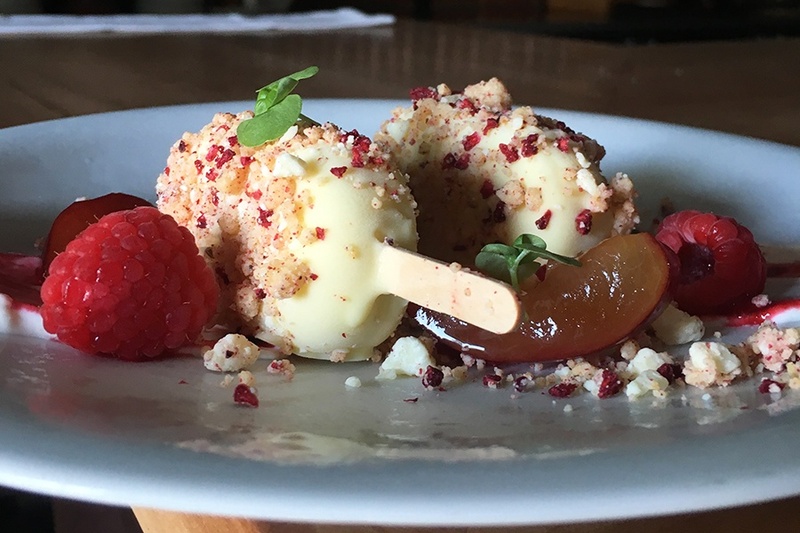 Kilpatrick’s take on this Turkish ice cream is done retro-Strawberry Shortcake Bar-style, served on a stick with a white chocolate shell and raspberry-sumac milk crumb.